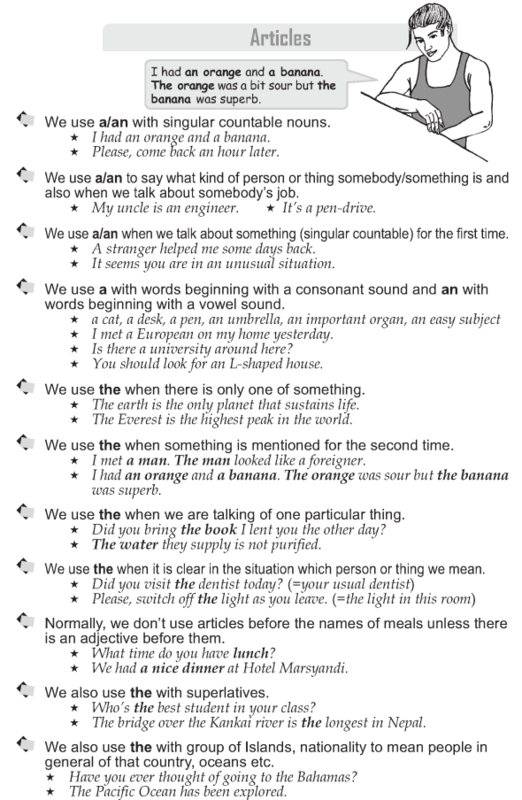 Verbs have tenses. A tense tells about the time. 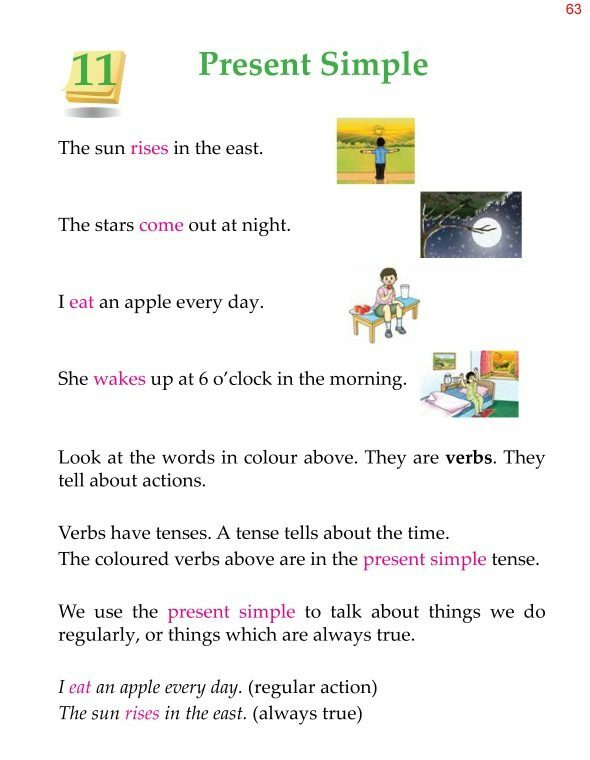 The coloured verbs above are in the present simple tense. We use the present simple to talk about things we do regularly, or things which are always true. What are clauses? 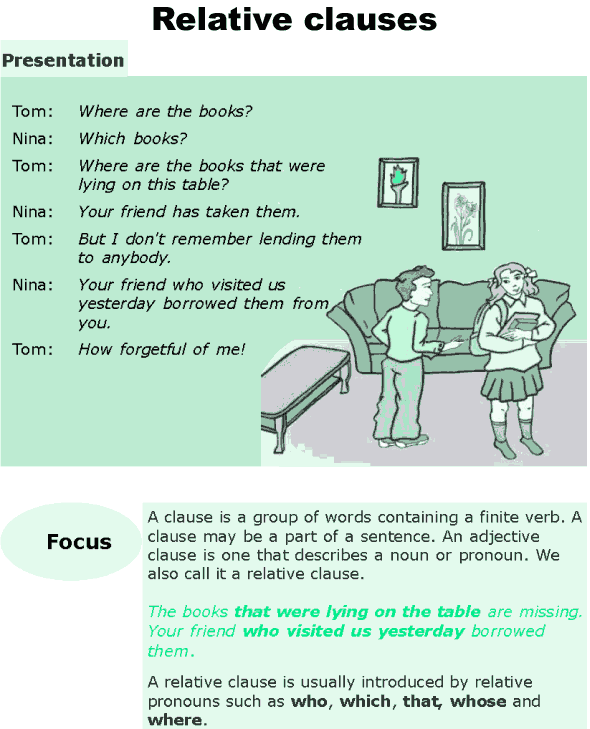 What are relative clauses? When do we use ‘who’, ‘which’ or ‘that’? When do we use ‘whose’? When do we use ‘where’? 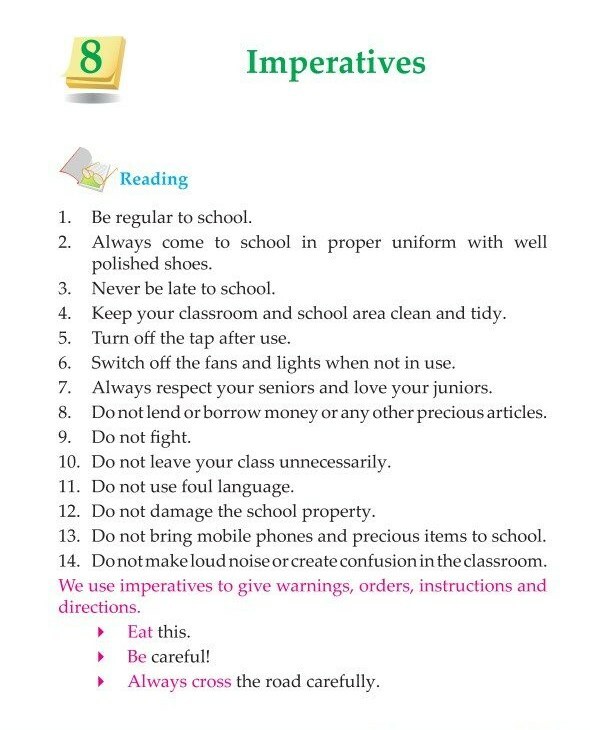 We use imperatives to give warnings, orders, instructions and directions. 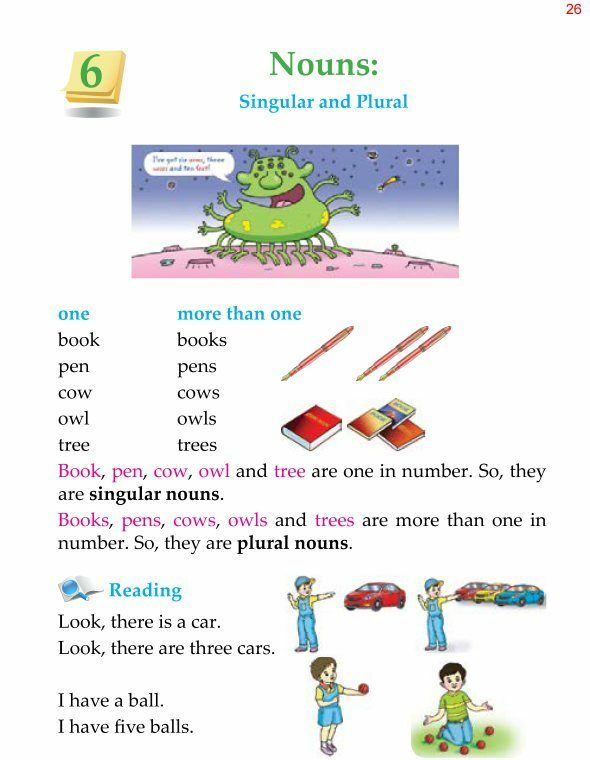 Nouns can be singular or plural. Book, pen, cow, owl and tree are one in number. So, they are singular nouns. Books, pens, cows, owls and trees are more than one in number. So, they are plural nouns. What article do we use before singular countable nouns? 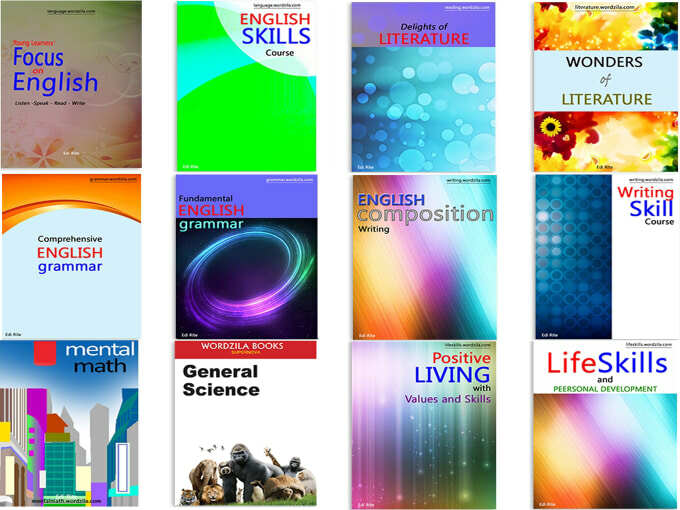 Do we also use articles before plural countable nouns and uncountable nouns? When do we use the articles ‘a’ and ‘an’? When do we use the article ‘the’? Do we use articles before names of meals? What are pronouns? 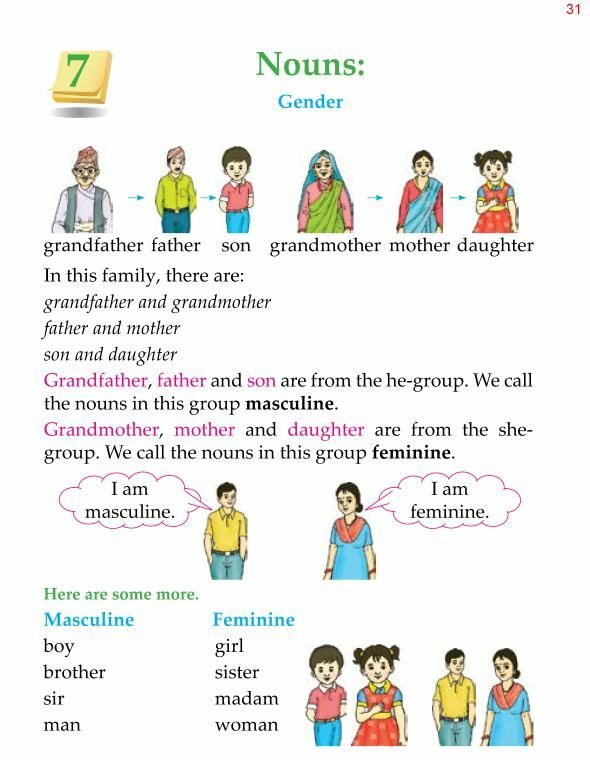 What is a personal pronoun? What are possessive pronouns? 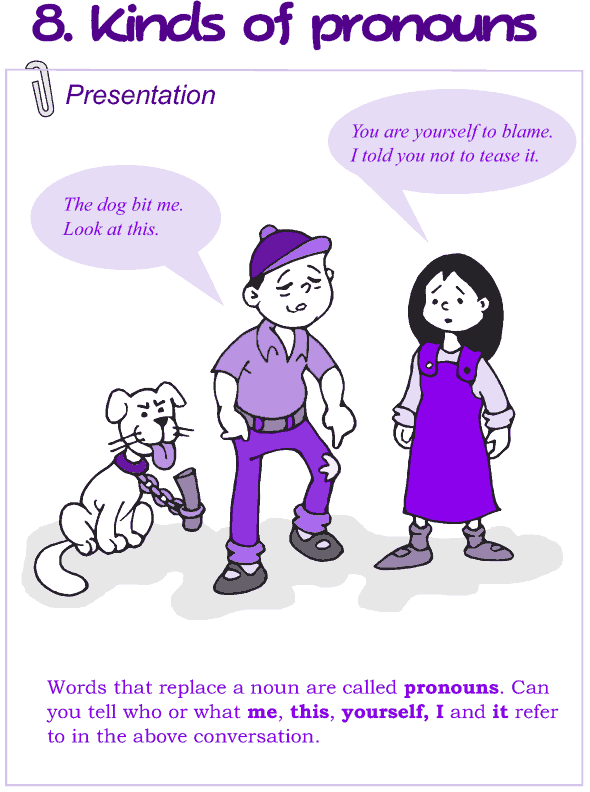 What are reflective pronouns? What are demonstrative pronouns? What are interrogative pronouns? 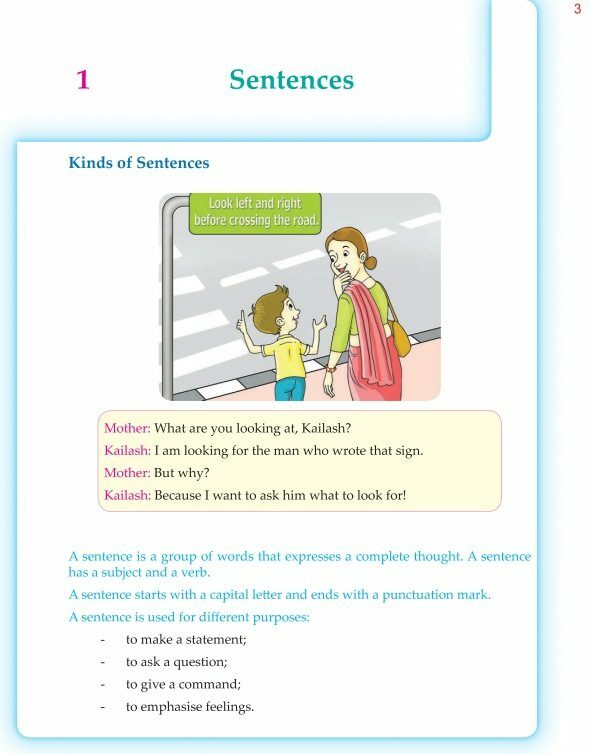 What are relative pronouns? 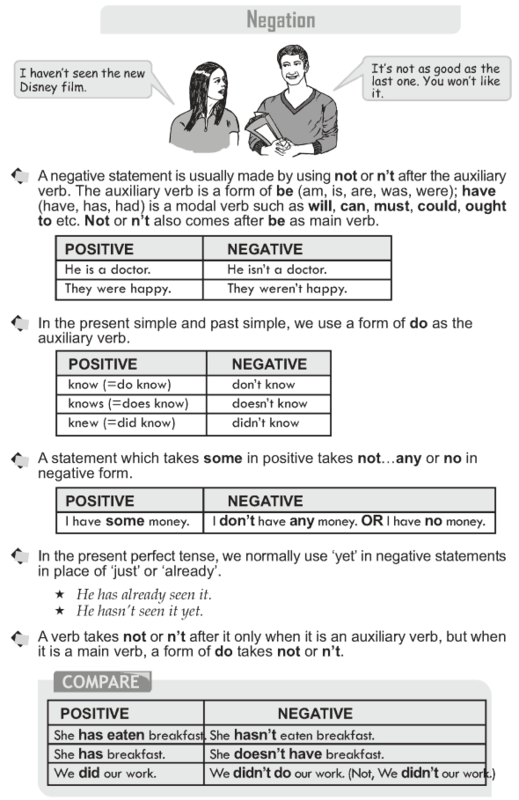 How do we change an auxiliary verb into negative? 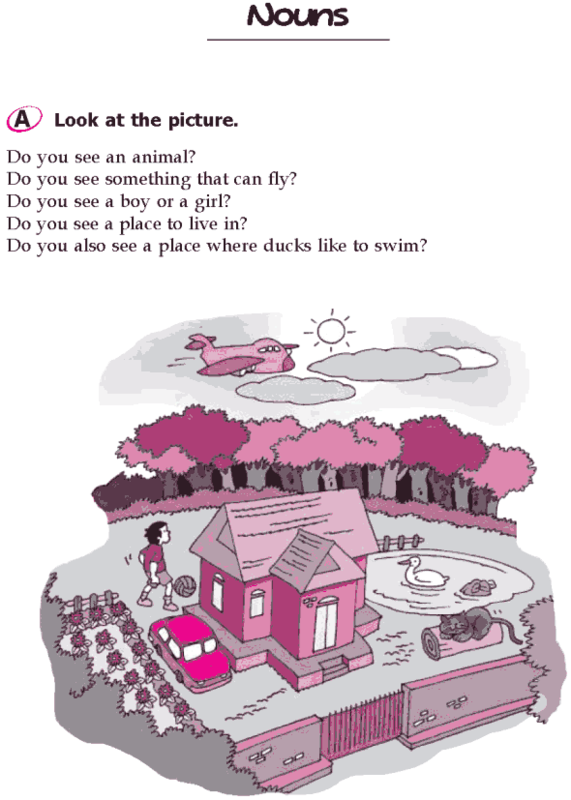 How do we change a verb in simple present or a simple past to its negative? If the statement contains positive words like ‘just’, ‘already’ or ‘some’, do we change those words as well? How do we change a main verb into negative? What are nouns? Are names of all animals, places and people nouns? Grandfather, father and son are from the he-group. We call the nouns in this group masculine. Grandmother, mother and daughter are from the she-group.We call the nouns in this group feminine.